From time to time we offer a special offer. We do not discount our prices as they are already more than fair. However, what we will do is sweeten one of our add-ons. This special will be our Video Walk Through. 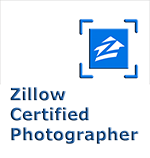 Add the Video Walk through to your order for $100 and we will also trim it to Zillow’s 2 minute video and submit it to Zillow. This will put you at the top of Zillow’s search engines, you will get more exposure for your listing, and your seller will also have a Video Walk through in their Virtual Tour, as well as a Zillow promo. New construction may not be available in the Zillow Database. An added service for $100.00, Voice over available.